Freelancing is fast becoming the choice of lot many people for the very fact that with 9-5 job or more hours at work doesn’t leave us with the time to spare for our friends and family. Infact, there are lot many hidden desires, hobbies that one wish to go for but one is seen complaining of time crunch. Not just this, for miscellaneous good reasons of their own people are opting for freelancing as a career. There are however pros and cons of the same. Being your own boss, finding a corner in your home to make your home office, minimizing distractions, time management, keeping one self motivated, are few issues that one faces in freelancing. Days back we came up with the compilation of 15+ Creative Motivational Posters for your Home Office and today we are with another post that is prepared with the aim to help freelancers. 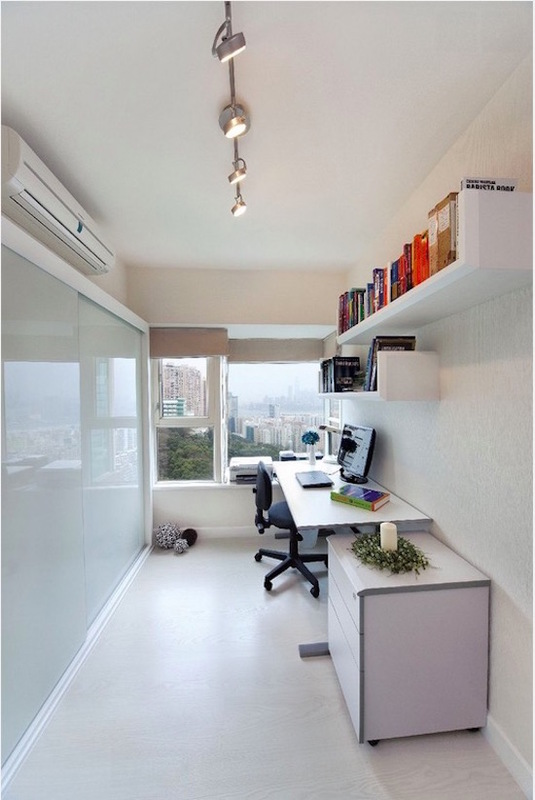 For all those of you who are planning to make a shift and go for freelancing and wondering which corner of your house you can use as home office then here are few ideas that might be of help. If you are the one who is already into freelancing and work while laying down in the bed or using dining table/side table to work, these ideas might work for you. If you are living in a small apartment, some of the pinned below ideas might work in favor and you would love them. You can transform a corner of your room into the home office. Ofcourse, initially you might find it challenging but then with the custom-built furniture you can define a space ensuring everything is at place. 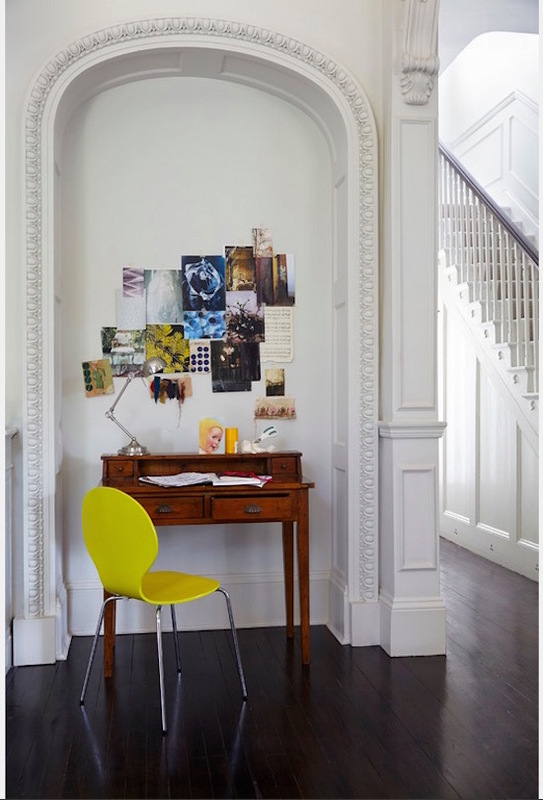 If there is a passageway or hallway in your home that is is wide enough to set a home office, go for it. Buy a sizeable workplace and a nice comfortable chair or stool to fit under the table when you are not using it. Hallway is a place which is not much used, so you can work without distractions. 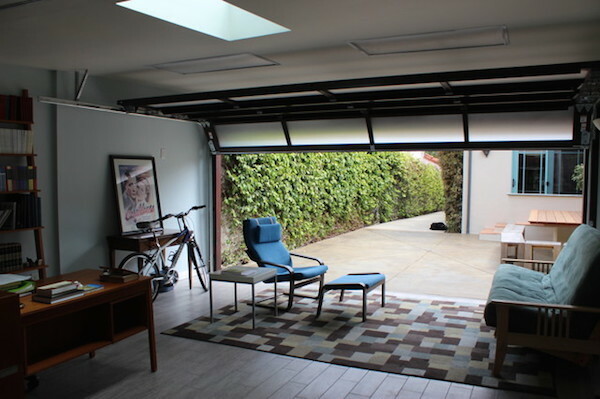 If you have a big garage and a car that doesn’t occupy much space, you can use it as home office with zero distractions. All you need to do is spend a weekend and get the garage space well prepared for being your office. If you have have double story apartment with stairway within the home, making the triangular nook beneath a staircase you home office is going to be a wonderful idea. Sounding weird, is it? This is one easy and renovation-free idea to get yourself a home office. Get the door of he closet removed, fit a tabletop flush with the walls and if you wish to, you can add shelves overhead for extra storage. If your closet is wide with number of shelves, you can open it up get a shelf of whichever length you want expanded and use it as your home office. When you are done, you can close the door of the closet. Ofcourse, the nightstand with a nice lamp and a few books is an ideal corner for those of you who are suffering from space-crunch. But then for working with great concentration without getting tempting to hit the bed, you need to be really firm. This idea works well for workaholics! Personally, I liked the garage idea. You can transform the garage area into your home office without bothering about distractions, rent, or anything that might prove to be hurdle. Which idea you liked the most and suits you? Have your say by leaving a comment below. Also, if you have thought out-of-the-box and have come up with a nice home office idea, don’t forget to share it with us.